This Margherita Pizza has all the essentials. Olive oil, garlic, tomato, freshly grated Mozzarella cheese and basil leaves on top of homemade pizza dough. 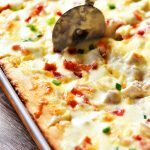 This pizza is a family favorite at our house! 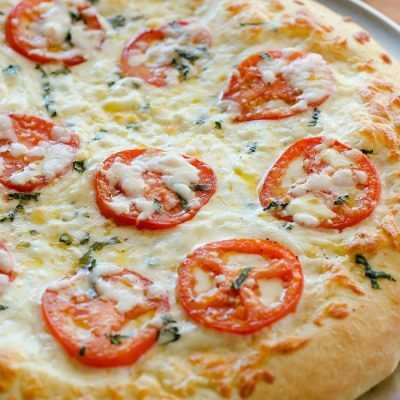 Since I shared my favorite dough it’s only fitting I share my favorite pizza: Margherita Pizza. I love everything about this delicious pie. 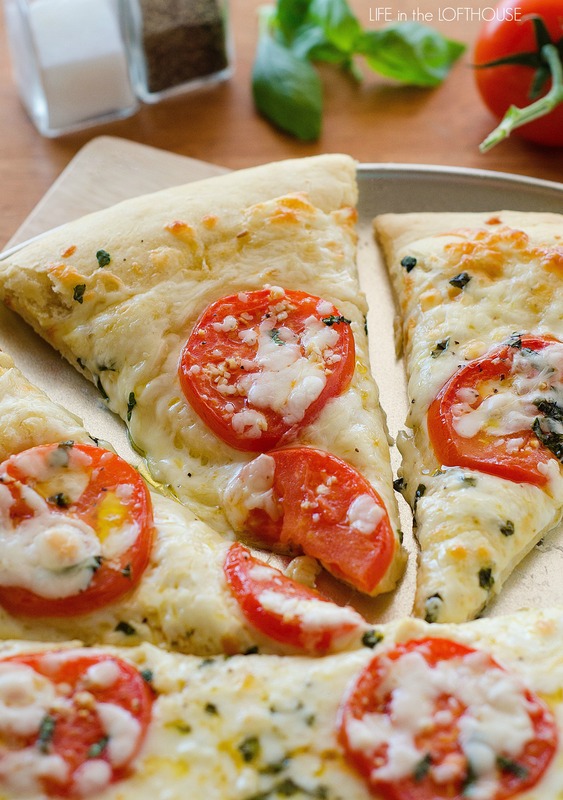 Tomato, garlic, olive oil and mounds of Mozzarella cheese. Oh, and basil. Don’t forgo the fresh basil. It takes it to all levels of amazing. Preheat oven to 450 degrees F. Oil a large pizza pan. Set aside. In a medium bowl combine olive oil and minced garlic. Add tomato slices and let tomatoes marinate for 15 minutes. Spread pizza dough out onto prepared pizza pan. Brush dough with the olive oil/garlic mixture. Sprinkle cheeses evenly all over the top of dough. 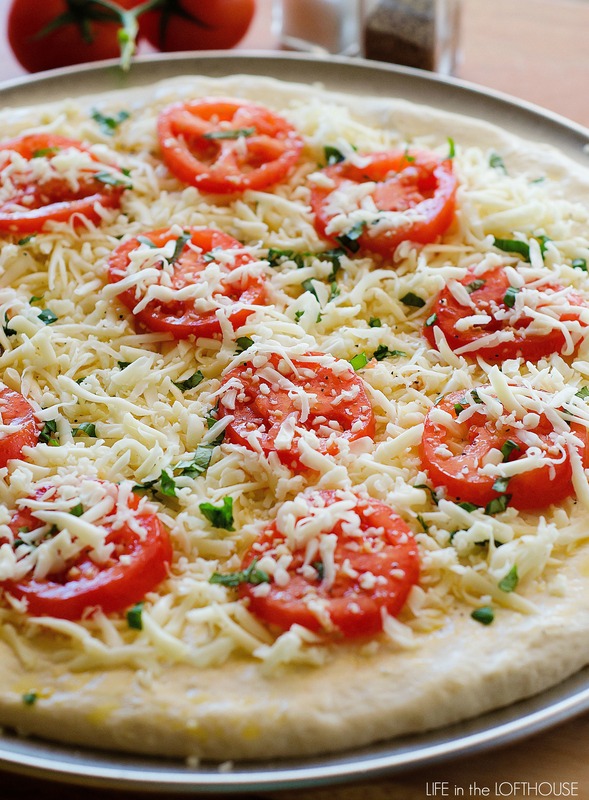 Place tomato slices evenly over the cheese. Sprinkle the torn basil leaves evenly over the top. Bake pizza in preheated oven for 15 to 20 minutes or until edges of pizza are nice and golden brown. Remove pizza from oven. Let stand 5 minutes before slicing. In the bowl of an electric stand mixer, fitted with the dough hook, mix the water, honey, oil, yeast and salt. 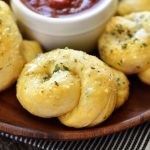 Add the flour gradually until a soft dough forms and pulls away from the sides of the bowl.The dough should be soft and smooth. You can add up to another ½ cup of flour, but no more than that. Knead the dough for 3 minutes in stand mixer. Cover dough with plastic wrap and let rest for 10 minutes. Shape and flatten dough out onto a greased pizza pan. Add sauce and toppings of your choice. Bake at 425° F. for 15 to 20 minutes or until edges of dough are golden-brown. 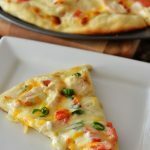 This is seriously one perfect looking pizza! Yep, this takes ‘divine’ to a whole ‘nother level. I must make this! finally after having this pinned for the longest time I tried it and it tastes just like my favorite pizzaria’s version. thanks !! This recipe is over-the-top. 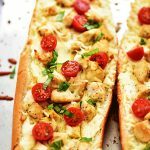 My version was baked on our Big Green Egg grill with the addition of provolone slices and extra garlic. I made a gluten free crust with Betty Crocker’s GF Bisquick. We did not miss the meat, it was hearty and satisfying. Superb flavor! Thank you so much for posting. 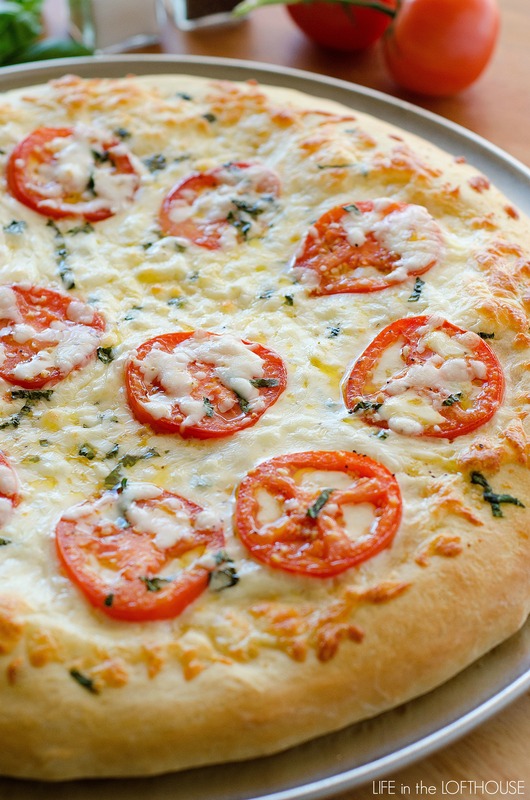 I have had this recipe for margherita pizza saved for over a year. I have made the pizza several times and everyone loved it. Now the only recipe showing is for the crust. 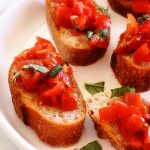 What happen to the recipe for the olive oil mixture to marinate the tomatos? I’m going to get that fixed now. So sorry about the inconvenience, Kathy. Thank you! Making this tonight for dinner with my children & granddaughter!